This is my favorite crease color! It’s just deep enough to provide a gentle shadow for a darker cut crease color on the edge. Nancy Petticrew has rated on date 04/24/19 as My favorite crease color.This is my favorite crease color! It’s just deep enough to provide a gentle shadow for a darker cut crease color on the edge. with 4.5star. I love these shadows! They have a very creamy consistency and they’re highly pigmented so a little goes a long way. Nancy Petticrew has rated on date 04/24/19 as Great base and highlight color if you’re going matte!I love these shadows! They have a very creamy consistency and they’re highly pigmented so a little goes a long way. with 4.5star. Great base and highlight color if you’re going matte! This is probably one of my all time favorite eyeshadows from ABH. There are a lot of copper eyeshadows out there, but Henna is in a class by itself. It has become my go-to copper eyeshadow. I use MAC Fix Plus and spray it on my brush after dipping it in Henna. It makes the color even more intense. I use this shade all the time for so many eye looks. It applies beautifully and it is the most flattering copper shade. Simply perfection! I keep reordering it when I hit pan. I cannot be without it. I consider it to be my Holy Grail copper eyeshadow. Superb texture and gorgeous color! Love it! Rochelle Moore has rated on date 04/22/19 as Best Copper EyeshadowThis is probably one of my all time favorite eyeshadows from ABH. There are a lot of copper eyeshadows out there, but Henna is in a class by itself. It has become my go-to copper eyeshadow. I use MAC Fix Plus and spray it on my brush after dipping it in Henna. It makes the color even more intense. I use this shade all the time for so many eye looks. It applies beautifully and it is the most flattering copper shade. Simply perfection! I keep reordering it when I hit pan. I cannot be without it. I consider it to be my Holy Grail copper eyeshadow. Superb texture and gorgeous color! Love it! with 4.5star. Rochelle Moore has rated on date 04/22/19 as Stunning brown sparkling eyeshadowI think Cognac is an essential eyeshadow. 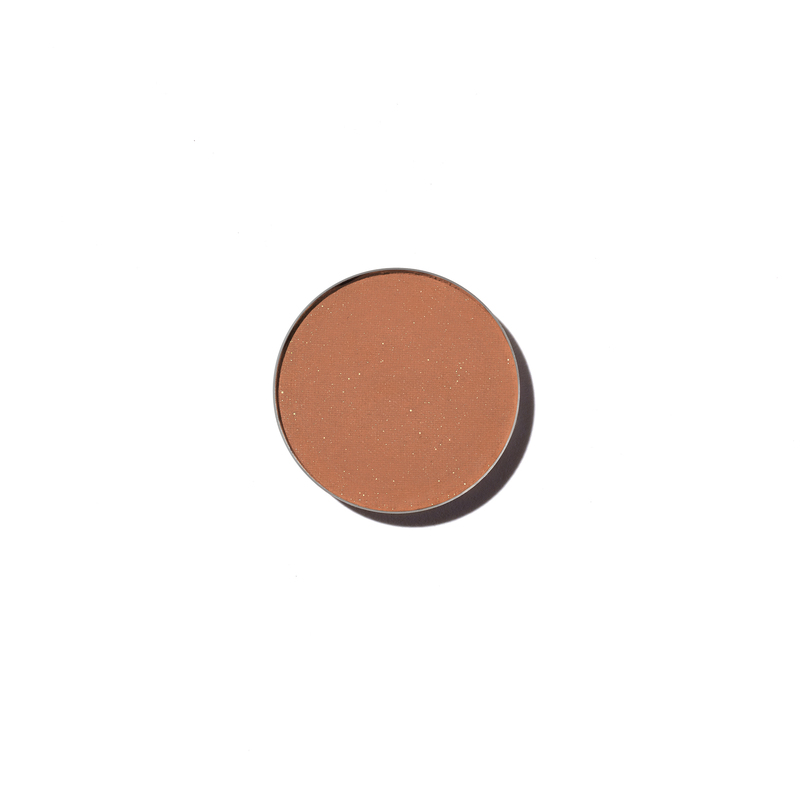 It is a universally flattering brown shade with some sparkle and shimmer. I use this shade all over the lower lid. It forms the base of a beautiful smoky eye. I have combined it with fudge in the crease for a monochromatic brown smoky eye look. It brings out my green eyes, I could not imagine being without this eyeshadow with 4.5star. Excellent! Product, packaging,arrival fast. Bought as Present. Loved. Maria Castleberry has rated on date 04/22/19 as ExcellentExcellent! Product, packaging,arrival fast. Bought as Present. Loved. with 4.5star. Available in 8 finishes and more than 100 shades, Eye Shadow Singles are individual pans of Anastasia Beverly Hills’ finely milled, easy-to-blend, full-pigment eye shadow formula. Choose from essential neutrals, pops of color and bright accents in ultra-matte, metallic, satin, duo chrome, titanium, shimmer, sparkle or velvet finishes. Pair one of Anastasia’s recommended brushes with this product for only $10. Includes A3, A4, A6, and A16. HIGHLIGHT the inner corner of the eye and brow bone. CONTOUR within the crease of the eye. Apply an ACCENT to the lid. DEFINE the crease of the eye using a defining shade. Bring the defining and contour shade down along the lower lash line to complete the look. Purchase select eye product and get a qualifying eye brush (Brush A3, Brush A4, Brush A6, or Brush A16) for $10. Must add both products to your cart in order to receive the discounted price. While supplies last. Brushes are final sale. Buy 4 Eye Shadow Singles for $32, 6 for $48, or 8 for $64. All sales final. While supplies last.